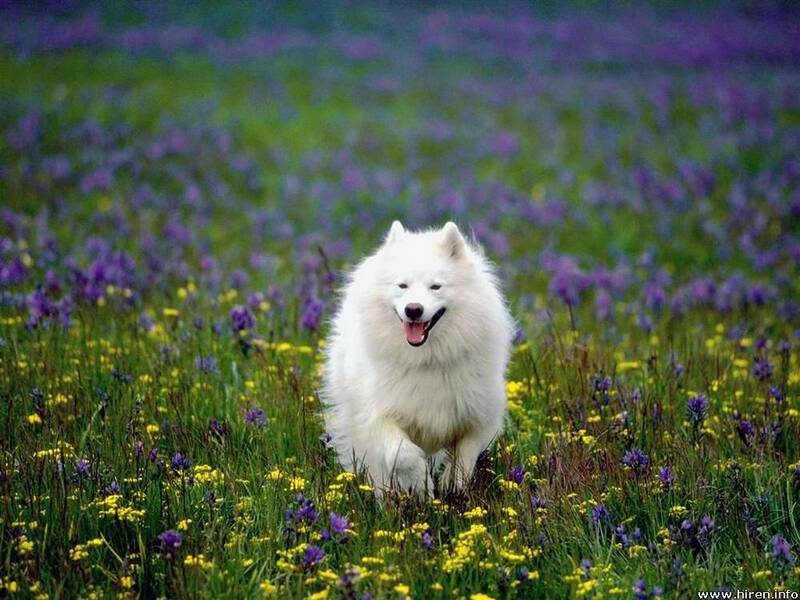 The general appearance of the Samoyed is that of a hard working Spitz, well suited to cold weather. The skull is broad and wedge shaped, topped with erect, triangular ears filled with hair. Eyes are set deep and well apart, dark and almond shaped. The muzzle is of medium length and width, and houses jaws that meet in a scissors bite. 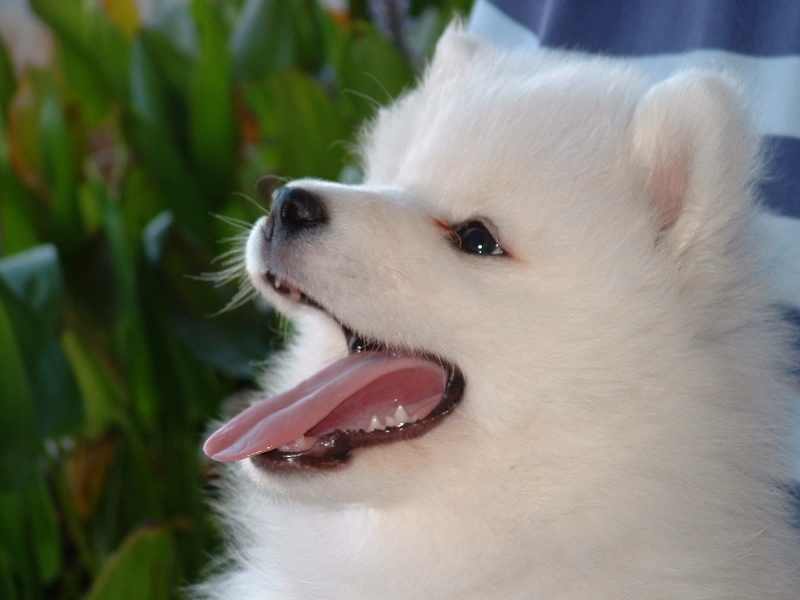 The expression is animated and cheerful, with the signature Samoyed smile formed by a slight upward curve in the lips. The dog is moderately heavy boned and muscular, and has long hare feet with hair between the toes. The tail is abundantly covered with long hair and is carried over the back or side. 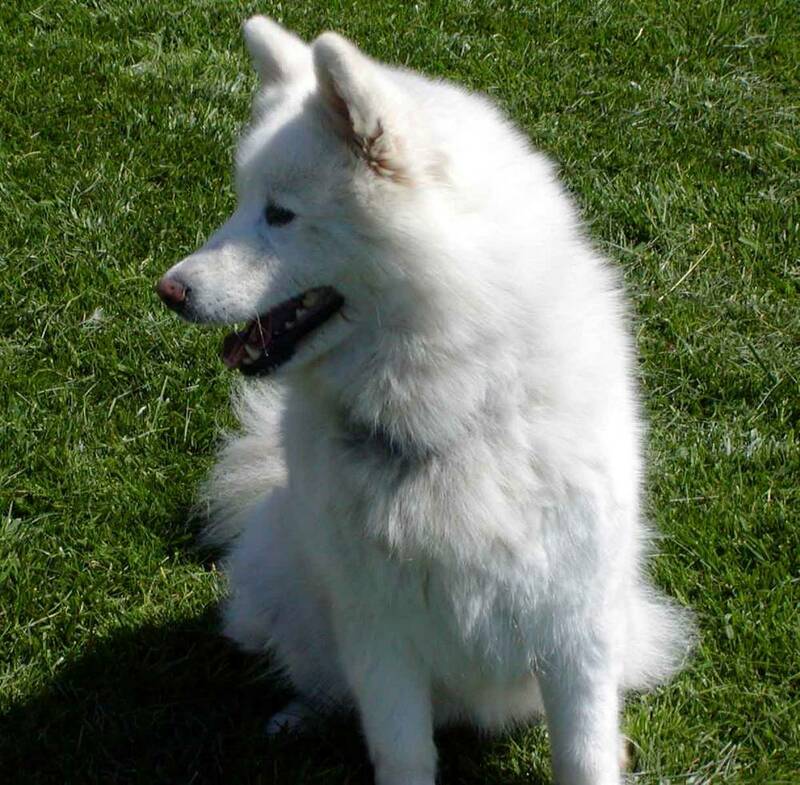 The Samoyed has a double coat made up of a soft, thick undercoat and a harsh outer coat that stands straight out from the body; the dog has a ruff of hair around the neck. Coloring is pure white, cream, biscuit or white and biscuit. Height (Male) 21 - 24"
Common Misspellings Samoid, Sammoyed, Samoyad or Sammoid. The dog is playful enough to keep the kids entertained for hours on end, yet it is not at all hyperactive or rambunctious, and can play safely with small children. 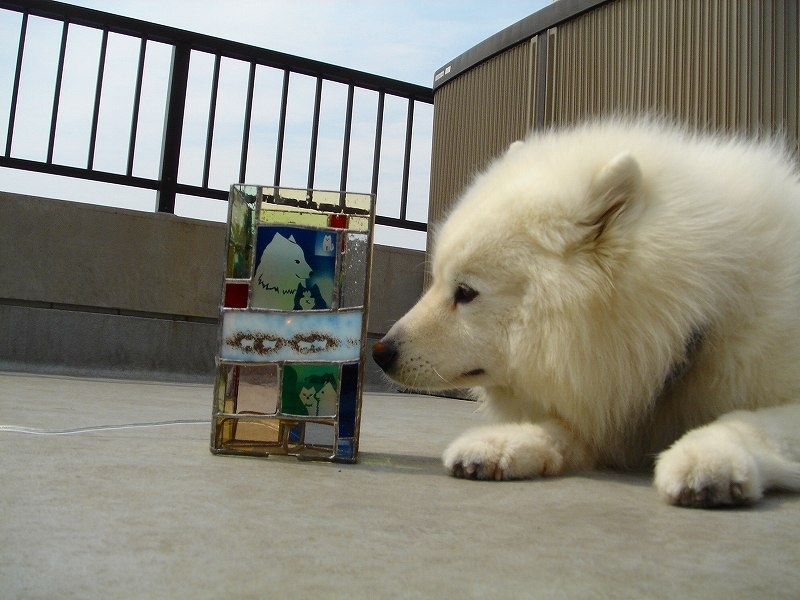 The Samoyed rarely displays dominant tendencies, and will easily befriend stranger, dog and cat alike. Though it can occasionally be stubborn, its general demeanor is obedient and willing to please. Samoyeds develop strong ties to their families, and may be protective of children or even try to herd them around the house. A vigorous walk or jog, a romp around the park, or a prolonged game of tug of war will keep this dog smiling. The Samoyed can live outside in temperate to cold climates, but this is not recommended as it stunts the animals social development. Grooming consists of a weekly or biweekly brushing for most of the year, daily brushing when the dog is shedding. 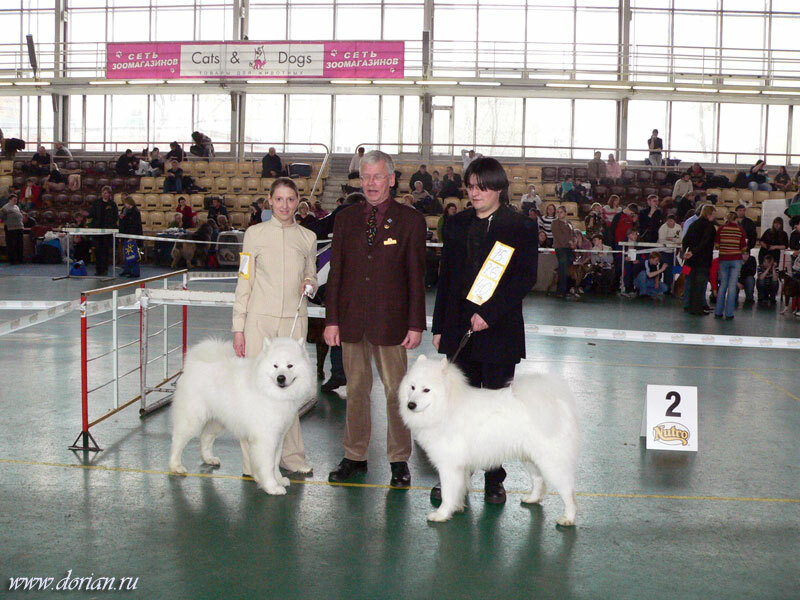 Some Samoyeds may develop canine hip dysplasia, hypothyroidism, cataracts or gastric torsion. 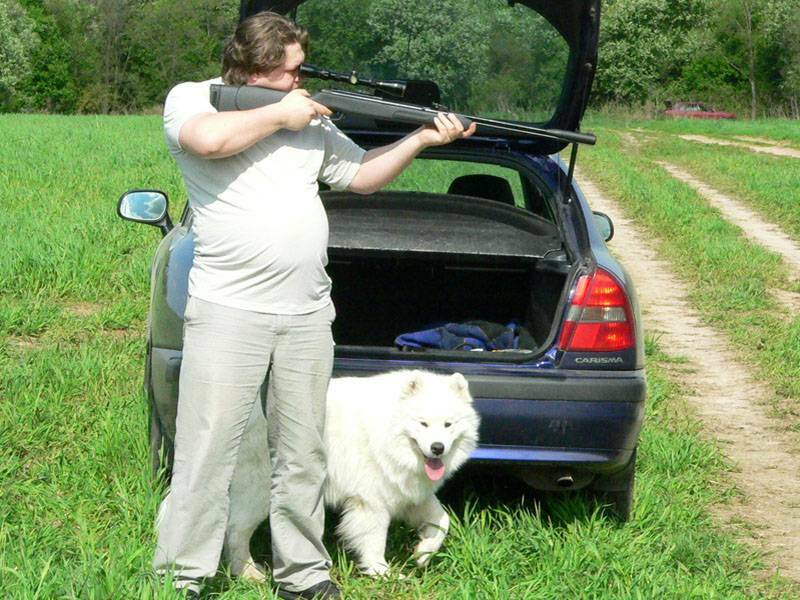 The Samoyed is not recommended for people who live in very warm climates. The Samoyed people, for whom the dog is named, were nomadic and relied heavily on their herds of reindeer for food, clothing and tools. The Samoyed people used their dogs to guide the movement of the reindeer as they went from place to place in search of food. The dogs were used to guard the reindeer flocks and Samoyed camps, and were also put to work as draft animals. 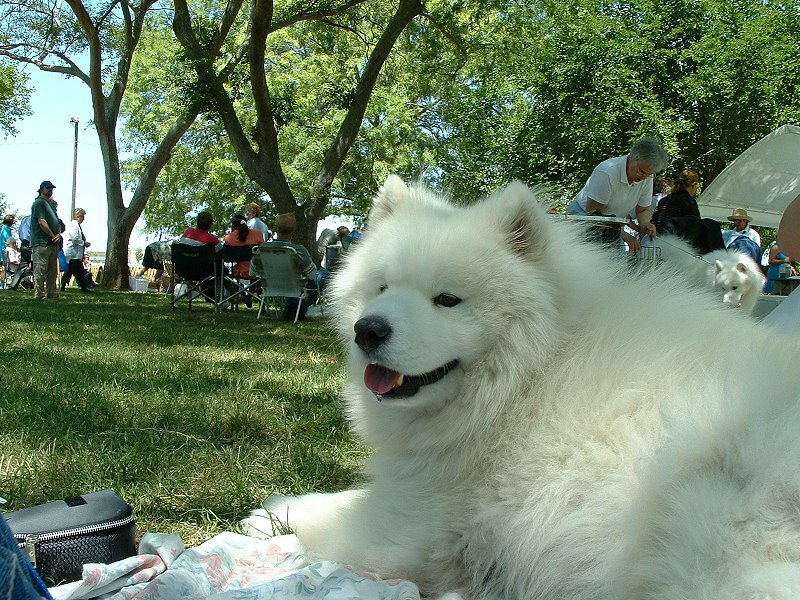 The Samoyed was introduced to England at the end of the 19th century, and was a favorite of Queen Alexandria. In 1906 Russias Grand Duke Nicholas presented one of the dogs as a gift to the United States; the Samoyed was recognized by the American Kennel Club the very same year. 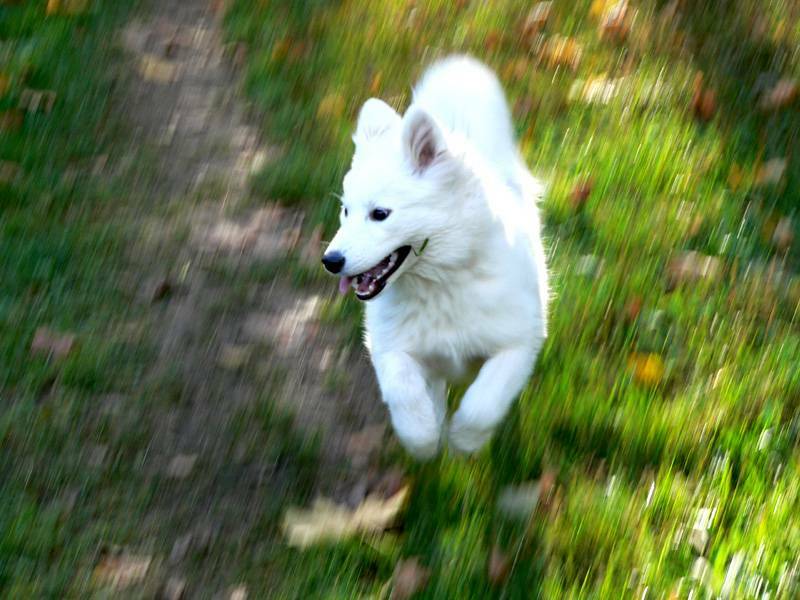 During this time, the dogs popularity as a polar draft animal exploded, and teams of Samoyeds were successfully used in several Antarctic expeditions. 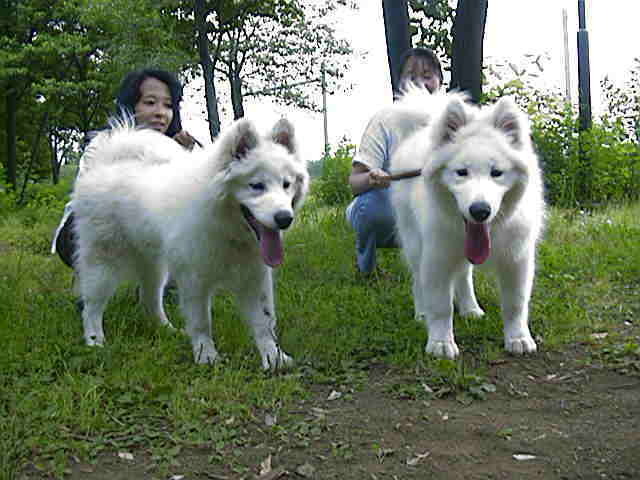 Today the Samoyed is still used as sled dog and herder, though it is more commonly seen as a loving pet.